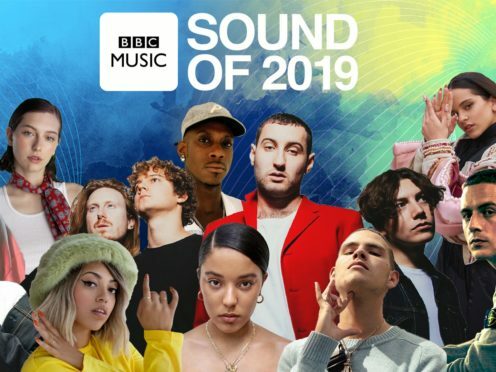 A rapper who was once homeless, a singer who got started on social media and a four-piece from London are among the acts on the long-list for BBC Music’s Sound of 2019. Compiled by industry experts including Stormzy, BBC Radio 1’s Annie Mac, Emily Eavis and Olly Alexander, this year’s list includes 10 emerging talents who have been tipped for success in the coming months. The competition includes rapper Octavian, who was born in France and raised in London. He was once homeless and dropped out of the Brit school but is now a rising star who counts Drake as one of his fans. It also includes Ella Mai, who got her big break after uploading videos to her Instagram account and being spotted by DJ Mustard, and Sea Girls, who have performed at several festivals this summer. Others in the running include British rising star Mahalia, Spanish singer Rosalia, Dublin-born Dermot Kennedy, South London MC Flohio, Grace Carter, who started making music aged 13, and Brooklyn-born vocalist King Princess. The 10-strong list is completed by Northampton rapper SlowThai, who started out freestyling with the older kids from his estate. The daily countdown of the top five will kick off on January 7 in Annie Mac’s show on BBC Radio 1 and the winner will be announced on January 11. Sound Of started in 2003 and previous winners include Adele, Sam Smith, Jessie J and Ellie Goulding. The 2018 winner, Strangers singer Sigrid, said the competition “helped me so much with reaching a new audience and giving my music some extra exposure on the radio”. Mac said it was “exciting to champion new music across the BBC and share these artists with the audience”. James Stirling, head of BBC Music & BBC Music Introducing, said: “For 17 years the BBC Music Sound Of list has been celebrating exciting up-and-coming talent and this year we are proud to recognise the work of such an eclectic mix of musicians.